A series of mini-symposia entitled Modeling Meaning and Knowledge started on Monday, 25th of January. During the spring 2016, the topic is handled in a multidisciplinary fashion. In linguistics, philosophy of language, cognitive science, psychology, sociology, artificial intelligence, information systems design and some other scientific discipline or application areas, it has been of primary interest to study knowledge. What does it mean to know? How is knowledge acquired? How are knowledge and meaning related? How is prototypical meaning different from contextual meaning? What are the characteristics of explicit and implicit knowledge? Is there knowledge beyond language? What kind of approaches have been taken to model knowledge in computer science and artificial intelligence? Can computational modeling be used to test philosophical ideas related to knowledge and meaning? What is the relationship of these questions with digital humanities? Can large data and text collections, i.e. so called big data, be used to extract knowledge automatically? What kind of practical, ethical and societal consequences does the chosen approach have? The series addresses questions like this. Timo Honkela gave a short introduction and discussed professor Terry Wingrad career from SHRDLU to the book on syntactic processing in NLP and all the way to the role in the advent of Google. 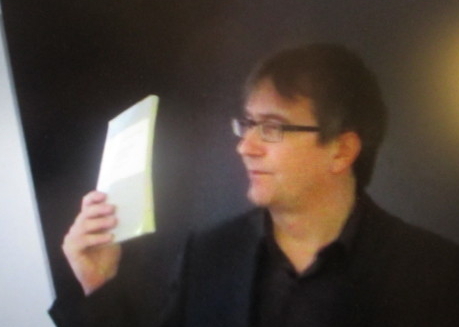 Juha Himanka gave a talk "Fernando Flores reads Heidegger". He described how Flores had met Stafford Beer in the times of hopeful developments in Chile and how they were dramatically abrupted. Flores later collaboparted with Winograd and they authored an influential book together. Pirjo Kukkonen discussed dynamic semiotics providing a wide range of theoretical and practical views on the complexity of synbolic communication. Based on her long experience on the topic, Terttu Nevalainen presented in-depth views on linguistic variation. The agenda for the spring is given below. The sessions are held in the Auditorium IV of the main building of the University of Helsinki.